After announcing the 2019 Range Rover Sport plug-in hybrid a few days ago, Land Rover has now released details on the 2018 and 2019 editions of their flagship Range Rover model. In the summer of 2018, a plug-in hybrid powertrain will be available in the Range Rover, which consists of a turbocharged, 2.0-litre four-cylinder engine, an electric motor, an eight-speed automatic transmission and an all-wheel drivetrain. Combined output is rated at 398 horsepower and 472 pound-feet of torque. According to the manufacturer, the 0-100 km/h dash will be completed in 6.8 seconds, and top speed will reach 220 km/h. No fuel economy ratings have been announced yet. 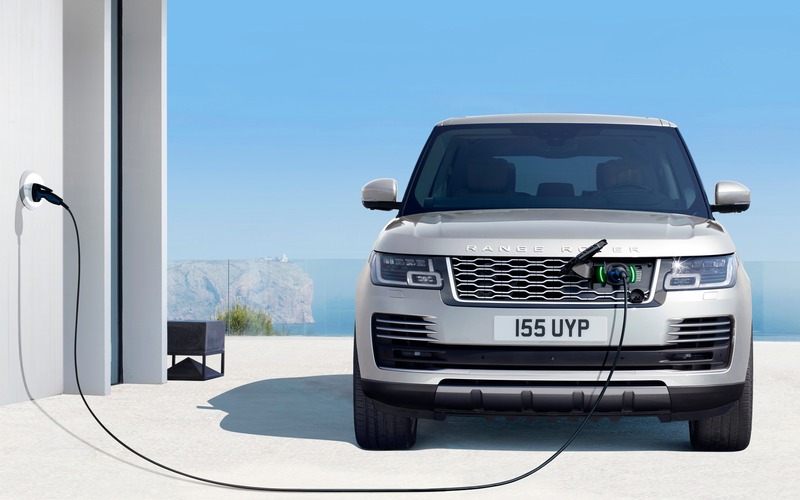 However, driving range in EV mode is estimated at up to 51 kilometres, and when properly equipped, the 2019 Range Rover P400e PHEV, which will be priced at $115,500 before freight and delivery charges, will be able to tow up to 2500 kilograms or 5511 pounds. When it goes on sale, the plug-in hybrid Range Rover will arrive on time to rival the upcoming BMW X7 in the full-size luxury SUV segment, which will get an electrified powertrain as well. Meanwhile, the 2018 Range Rover benefits from revised headlight clusters, grille and front bumper, while lower-body side accents and lateral air vent grilles are redesigned, too. At the rear, the reshaped bumper now integrates the exhaust tips in all versions, and there are new alloy wheel designs and new paint colours as well. Inside, new seats provide more legroom and foot space, with 16-way power adjustments as standard, while 20- and 24-way power front seats are available with either Oxford or Semi-Aniline leather upholstery. A Hot Stone Massage function will be offered as well. Sound insulation is enhanced due to thicker glass surfaces. At the rear, there’s a new power-sliding centre console to help passengers climb in and out more easily. The Rear Executive Class Seating package adds reclining seatbacks that now tilt up to 40 degrees. Storage points have been improved with bigger door-mounted bottle holders and a cooler compartment in the front centre console. 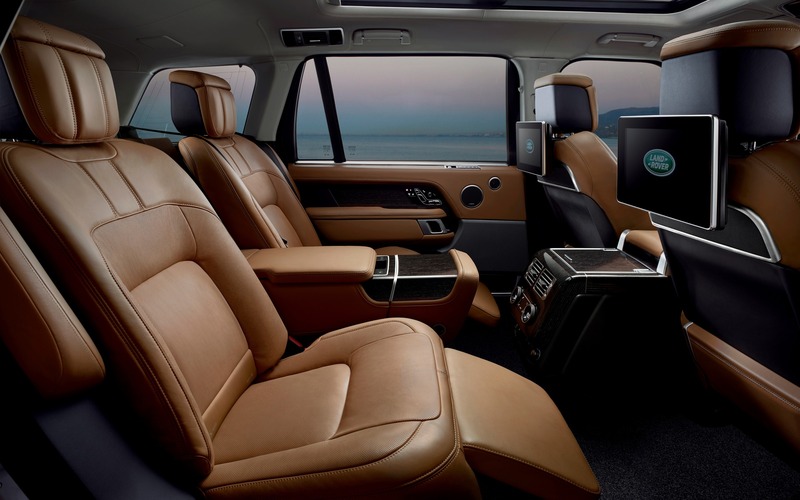 The roof sunblind can be opened and closed with a new gesture control system, there’s new three-zone ambient lighting, and the brand’s new Land Rover Touch Pro Duo infotainment system is now available, which features two 10-inch touchscreens. The Range Rover still offers a 3.0-litre, turbo-diesel V6 (254 hp, 443 lb.-ft.) in HSE trim and a supercharged, 5.0-litre V8 (518 hp, 461 lb.-ft.) in Supercharged and Autobiography trims. The SVAutobiography Dynamic edition, which also gets the V8 engine, now delivers 557 hp. The 2018 Range Rover is now on sale, starting at $113,000.